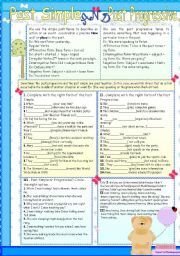 Present perfect and Simple Past. THE LEGEND OF SANTA CLAUS. 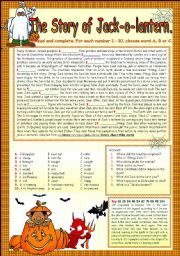 READING-COMPREHENSION TEST WITH QUESTIONS AND A MULTIPLE-CHOICE EXERCISE.KEY IS INCLUDED. 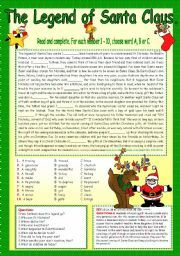 Reading-comprehension test with a multiple-choice exercise, true or false statements and match words to synonyms.Key is provided. 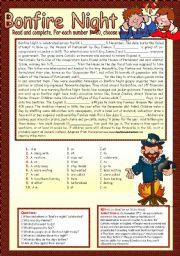 READING COMPREHENSION TEST WITH A MULTIPLE CHOICE EXERCISE AND QUESTIONS. KEY IS INCLUDED. 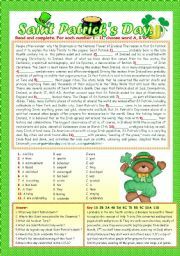 READING-COMPREHENSION TEST WITH A MULTIPLE-CHOICE EXERCISE AND QUESTIONS. KEY IS INCLUDED. Reading-comprehension test with questions, true or false statements,match words to synonyms and a word search .Key is provided. 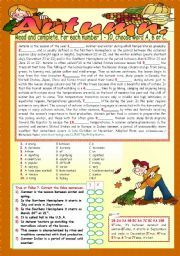 READING COMPREHENSION TEST WITH MULTIPLE CHOICE AND TRUE/FALSE EXERCISES. KEY IS PROVIDED. PAST SIMPLE AND PAST PROGRESSIVE.